One of the world’s cutest animals could disappear from the wild because of global warming. The white winter weasel, nicknamed ‘ermine’ after its stunning coat, is being wiped out by foxes, wolves and birds of prey, according to new research. A decade long study found numbers of the adorable creature have halved because of fewer days of snow cover. Its white coat provides the perfect disguise to see off predators such as raccoons, buzzards and ravens. But the rising thermometer has dramatically lowered survival rates. The climate change pin-up is less camouflaged by its fluffy snow white down during shorter winters – which makes it much more vulnerable, warn scientists. The weasel Mustela nivalis has two sub-species with differently coloured winter coats – white and brown. The forrmer is known as M. n. nivalis and the latter M. n. vulgaris. It is common to find them living alongside each other in the same habitat. The mammal, which eats mice and voles, is more than a foot long and is known for its long and slender body. Those with fur colour that matches their surroundings find it easier to avoid predators. Between 1997 and 2007 his team captured and recorded 95 and 23 weasels with white and brown winter coats, respectively, in Bialowieza Forest. They also analysed weather data from the region over the same period. They found the average number of days with permanent snow cover plunged from around 80 to 40 days. This was mainly caused by the overall shortening of winter, with snow coverage disappearing earlier in more recent years. 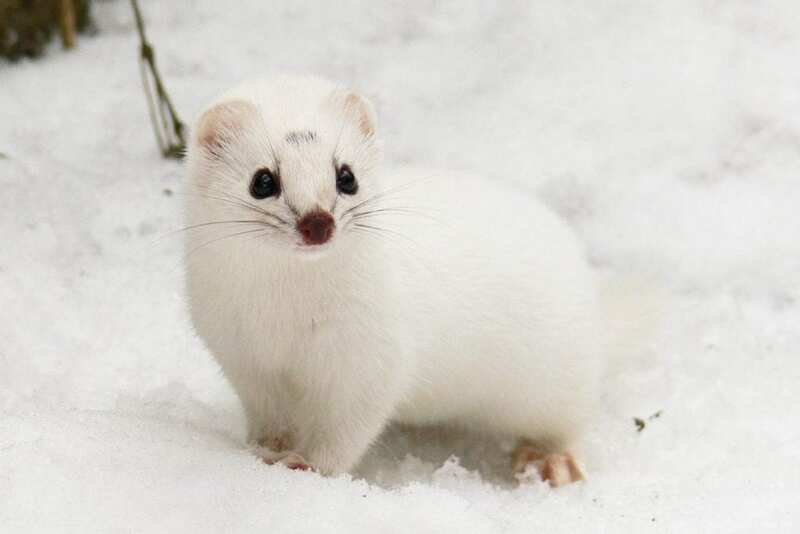 The researchers also found the proportion of weasels with white winter coats roughly halved too – in perfect line with the number of days of snow cover lost. They also carried out a field experiment using models of white and brown weasels to test if coat colour affected detection by predators such as foxes, wolves and birds of prey. This showed weasels that were not well camouflaged would be killed more often than those matching the background colour. Such individuals are well visible on contrasting background and easier detected by potential predators. Dr Zub said: “During the field experiment, we recorded 138 model-predator encounters with a 31.9 percent rate of detection. “The red fox was the principal predator, followed by the raccoon dog. Avian predators were rarest, and were mainly buzzards and ravens. 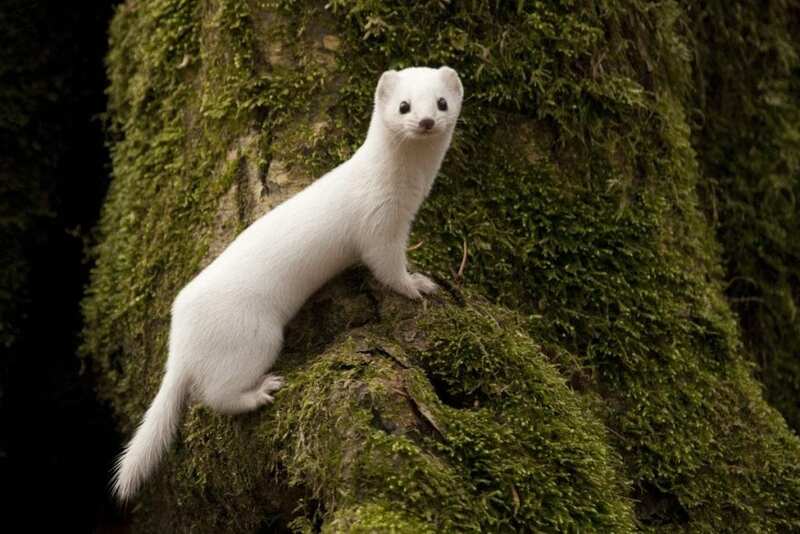 The findings published in Scientific Reports suggest the decrease in white-coated weasels is due to an increase in detection by predators in a less snowy environment. He said studies on snowshoe hares have identified a similar phenomenon. Dr Zub said: “By analysing trapping data, we found the share of white subspecies in the weasel population inhabiting Bialowieza Forest decreases with decreasing numbers of days with snow cover. “This led us to hypothesise selective predation pressure should favour one of the two phenotypes, according to the prevailing weather conditions in winter. He said their observations also confirmed earlier findings that the ability of white coated weasels to shed its fur is moult is very limited. Analysis of weather data collected in Bialowieza Forest over the last 50 years revealed during the sspring moult period of March and April the average temperature has risen by an average 3.6 degrees centigrade. Dr Zub said: “In the Bialowieza Forest weasel population, the proportion of M. n. nivalis, a morph that changes its pelage (fur) colour to white in winter, decreased along with a simultaneous decrease in the number of days with snow cover in the region.